The Internet of Everything (IoE) “is bringing together people, process, data, and things to make networked connections more relevant and valuable than ever before-turning information into actions that create new capabilities, richer experiences, and unprecedented economic opportunity for businesses, individuals, and countries.”, (Cisco, 2013) . In simple terms: IoE is the intelligent connection of people, process, data and things. The Internet of Everything (IoE) describes a world where billions of objects have sensors to detect measure and assess their status; all connected over public or private networks using standard and proprietary protocols. People: Connecting people in more relevant, valuable ways. Data: Converting data into intelligence to make better decisions. Process: Delivering the right information to the right person (or machine) at the right time. Things: Physical devices and objects connected to the Internet and each other for intelligent decision making; often called Internet of Things (IoT). The Internet of Everything (IoE) with four pillars: people, process, data, and things builds on top of The Internet of Things (IoT) with one pillar: things. In addition, IoE further advances the power of the Internet to improve business and industry outcomes, and ultimately make people’s lives better by adding to the progress of IoT. (Dave Evans, Chief Futurist Cisco Consulting Services). “At the first level, digital technology is improving our products, services and processes, our customer and constituent experiences, and the way we work in our organizations and within our partnerships,” said Hung Le Hong, research vice president and Gartner Fellow. 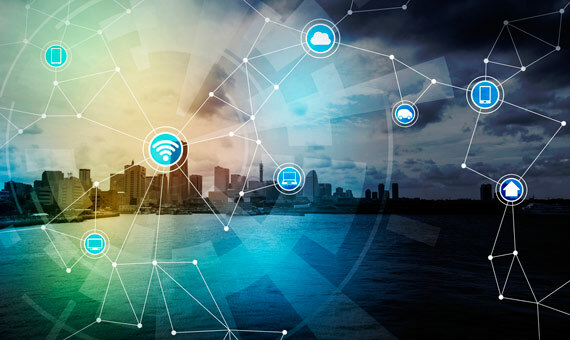 Gartner predicts that enterprises will make extensive use of IoE technology, and there will be a wide range of products sold into various markets. These will include advanced medical devices, factory automation sensors and applications in industrial robotics, sensor motes for increased agricultural yield, and automotive sensors and infrastructure integrity monitoring systems for diverse areas such as road and railway transportation, water distribution and electrical transmission; an endless list of products and services. But as devices get more connected and collect more data, privacy and security concerns will increase too. How companies decide to balance customer privacy with this wealth of IoE data will be critical.